Americans are crazy about lettuce! According to the U.S. Department of Agriculture, we eat 33 pounds of lettuce per person every year. But not all lettuce is created equal. 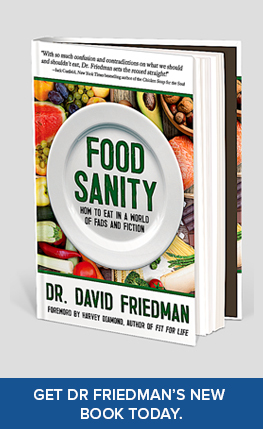 As I share in my #1 best-selling book, Food Sanity, how to eat in a world of fads and fiction, as a general rule of thumb, the nutritional value of lettuce increases the darker the leaves. However, you also have to take into consideration nutritional content like protein, fiber, potassium, riboflavin, niacin, folate, B6, calcium, iron, zinc, vitamins A, and C. With all this in mind, I will rank the different varieties of lettuce, from least to most healthy. 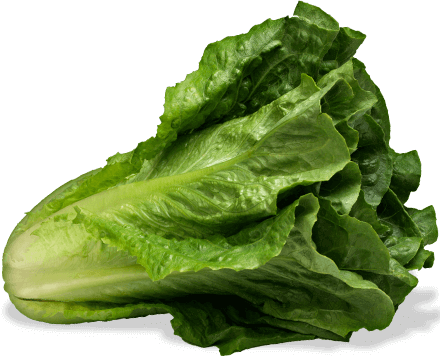 Iceberg lettuce is the most widely eaten of the salad greens but it’s at the bottom of my list. The reason iceberg has the least nutrients overall is because it grows in a tighter head, so the inner leaves get less sunlight, remain lighter green and have fewer nutrients. 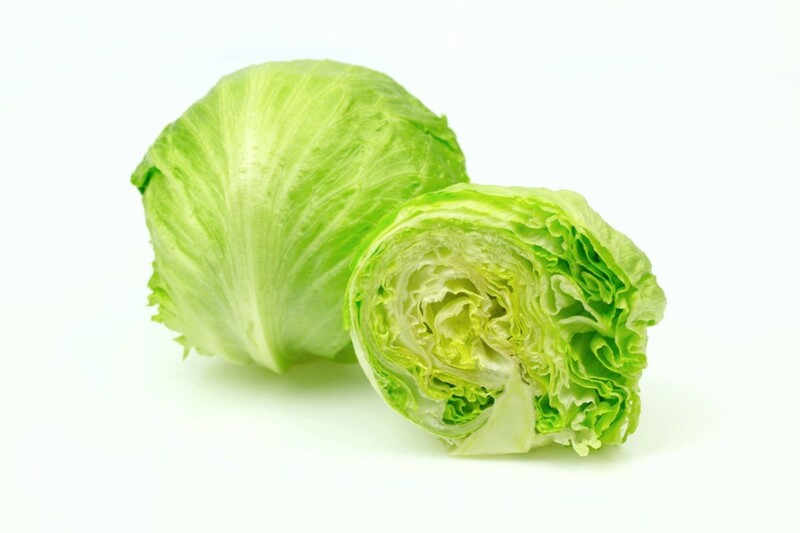 However, iceberg lettuce is the best option when it comes to helping the body stay hydrated since it contains more water than any of the other options. Arugula (a.k.a. rocket) has dark green leaves. Originating from the Mediterranean, it has a unique peppery flavor and is a great addition to spicing up a salad. 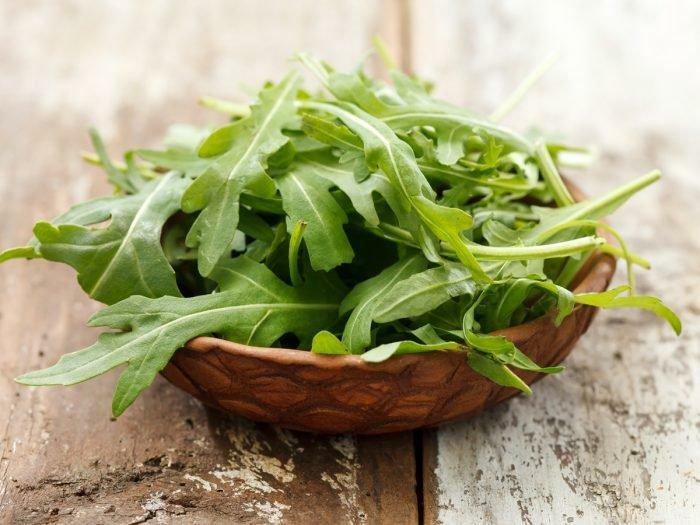 While arugula is a member of the mustard family, it is not as bitter as mustard greens. 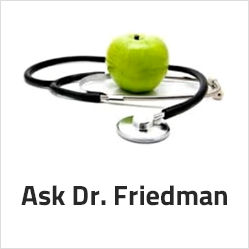 It offers a fair amount of vitamin A, vitamin C, iron, and calcium. Butter lettuce, also called Boston and Bibb lettuce, has a sweet buttery flavor that makes for a delicious foundation for any salad. As this variety’s name implies, the texture of butter lettuce is indeed smooth like butter. Bibb is the more expensive of the two and is usually sold in a plastic container to protect the delicate leaves. 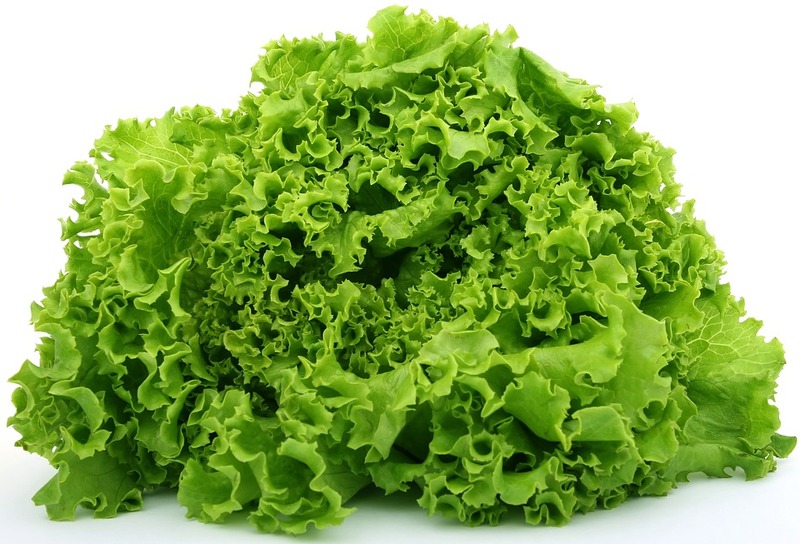 This variety of lettuce is higher in vitamin A, folate, iron and potassium than Iceberg and Arugula, putting it at number 8. Red leaf lettuce is easily recognized by its loose clump of leaves tinged with shades of red to dark reddish-purple. 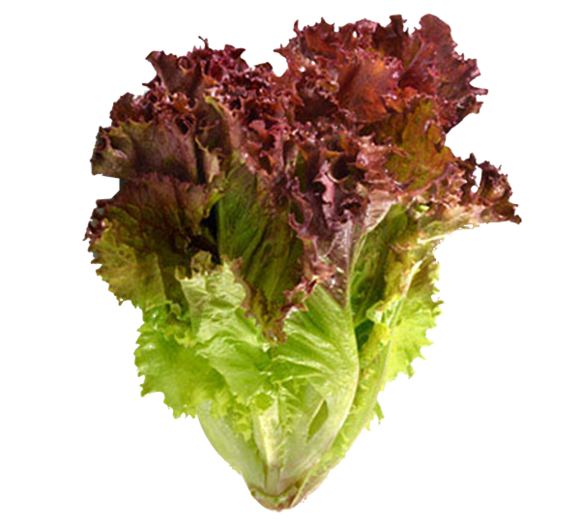 Red leaf lettuce contains 127% of the daily recommended amount of Vitamin A, and 149% of the daily recommended Vitamin K. The texture is constantly crispy and succulent, the flavor generally mild and delicately earthy with a slightly bitter nuance which is perfect for salad. Mâche lettuce, also known as lamb's lettuce, comes in lovely little rosettes of dark green leaves attached in groups of 4 or 5 at the roots. 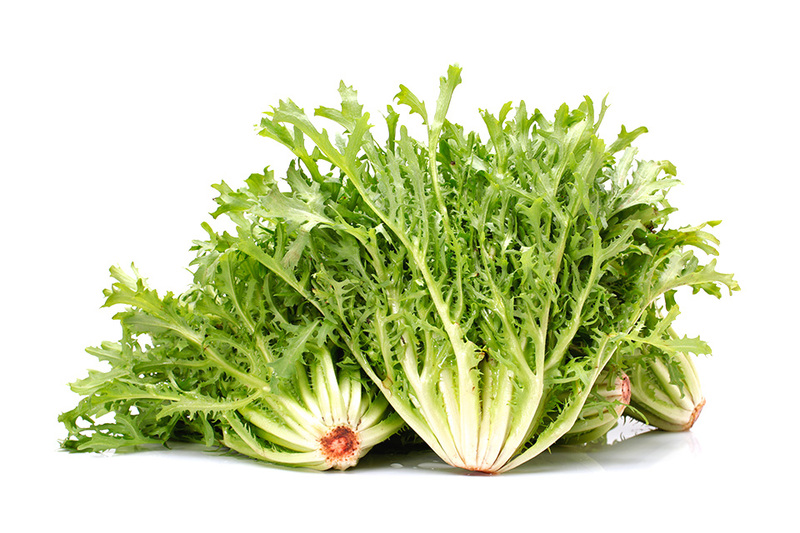 It has a bit more body than many lettuces and mixes well with other vegetables. It requires extra care when cleaning since sand and grit tend to gather in the nub of roots holding each rosette together. 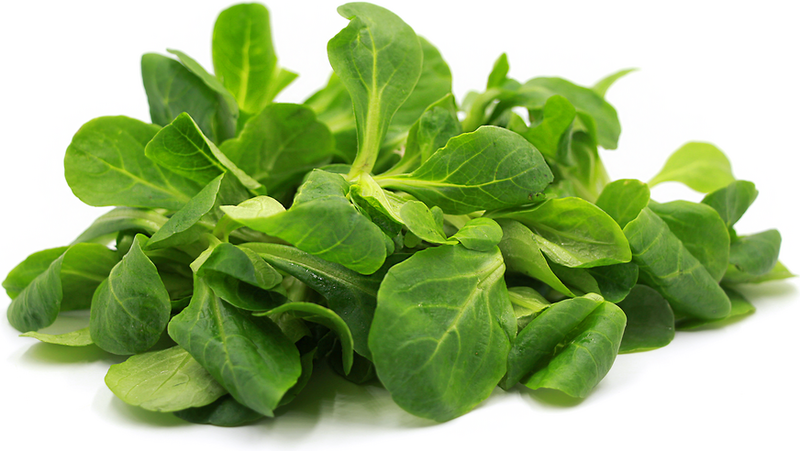 Mâche lettuce offers a great source of vitamin A, C, B6, iron, copper, and manganese. Also called Batavian or French crisp, this type of lettuce tends to grow very large, making it the best value for your dollar. It’s well- flavored and the heart is sweet, juicy and a bit nutty. Summer crisp lettuce offers a good source of vitamin K and vitamin A.
Frisée, also called endive and chicory, are slightly bitter in taste, have a crunchy stem, and add a lot of texture. Frisée is one of the most difficult vegetables in the world to grow, requiring a two-step growing process. 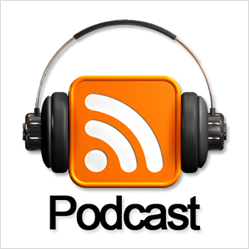 The first takes 150 days in the field. Then, at harvest, tops of the plant are cut off, the roots dug up and then placed in cold storage where they enter a dormancy period for 30 days before they are eaten. Frisée is a cool weather crop with robust flavor. It’s a great source of the B vitamins, manganese, vitamin A and vitamin K.
True to its name, the individual leaves of oak leaf lettuce are deeply lobed and shaped like the leaves of oak trees. Oak leaf lettuce is rich in vitamins A, B, C, D, and E. This type of lettuce tends to go bad quicker than the others so it’s best to eat it within 4 days after purchasing. Keeping it stored inside of a paper bag in the fridge can help it last a couple days longer. Green leaf lettuce is a solid runner-up. 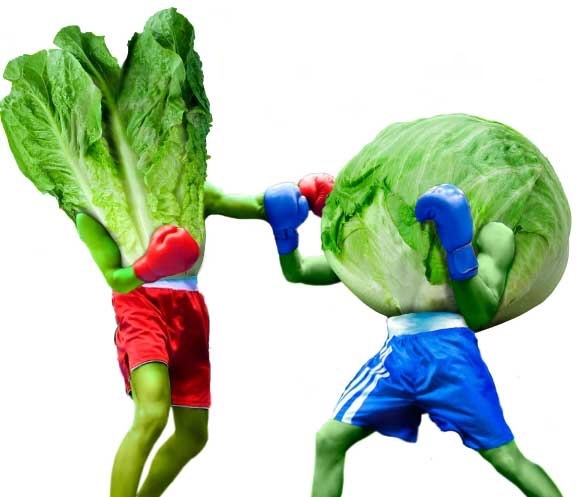 It delivers a decent amount of calcium, phosphorous, potassium, manganese and vitamins C, A and K. Green leaf branches from a single stalk which is why you won't see a “head.” This makes leaf lettuce more perishable than head varieties. 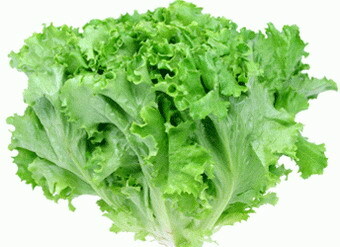 Stores will often sell it in "baby lettuce" mixes because of its tenderness. 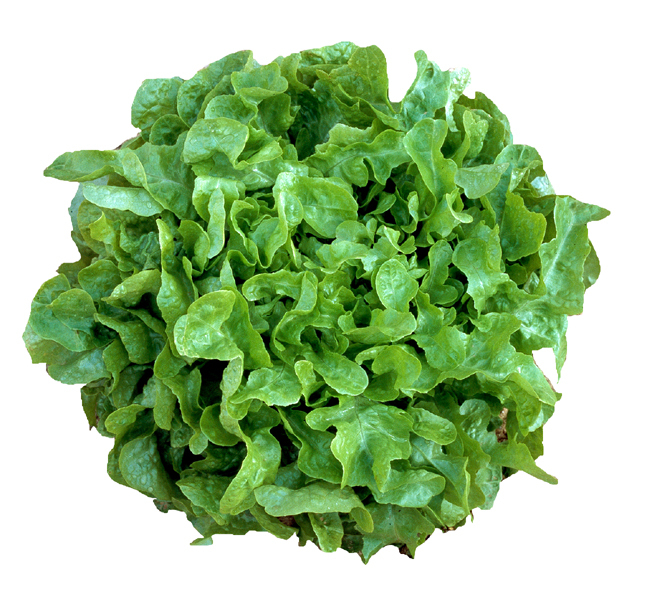 Green leaf lettuce is a natural for salads because it offers a mild flavor and pleasing texture. My top pick is Romaine lettuce. 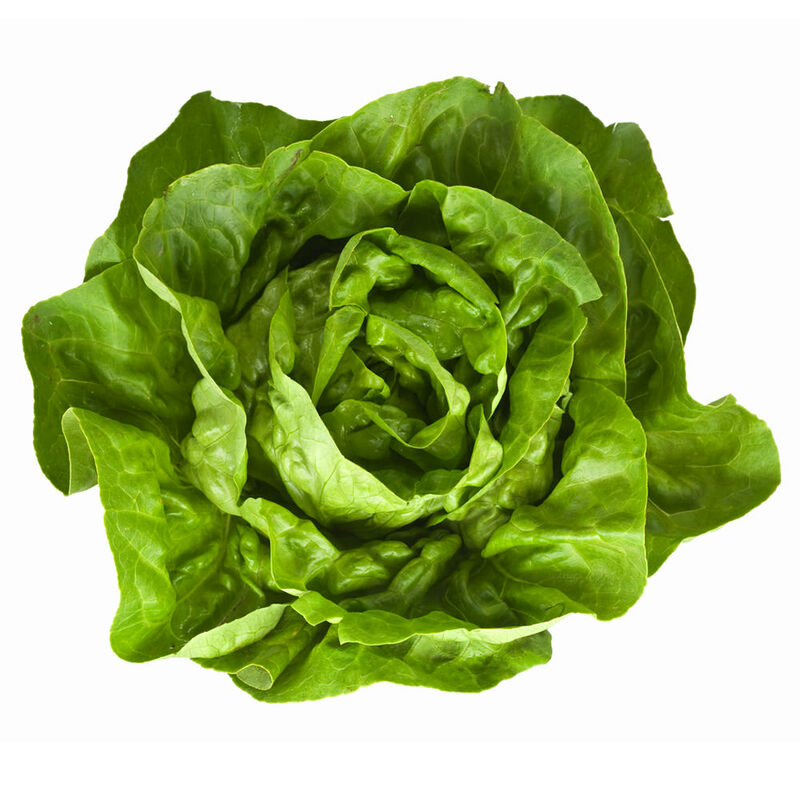 It’s the most nutrient-rich of all lettuce varieties and excels in the vitamin and mineral departments. It's an excellent source of calcium, vitamin C, folate, and vitamin K. It provides 10 times more beta carotene than iceberg lettuce and almost as much as spinach, making romaine the healthiest of all the lettuces. With its long, slightly bitter leaves and sturdy, sweeter center ribs, romaine provides a robust crunch to any meal.